Senator Elizabeth Warren turned the tables on Jamie Dimon Friday, responding to a dig from the JPMorgan (JPM) CEO earlier this week about her ability to understand global banking. "The problem is not that I don't understand the global banking system," Warren said in a Huffington Post podcast. "I fully understand the system and I understand how they make their money. And that's what they don't like about me." The Massachusetts Democrat has been a high-profile thorn in the side of the U.S. banking industry. She has called for big banks to be broken up so that taxpayers won't be on the hook if the industry needs another bailout. She responded to complaints from Dimon and others bankers who say federal regulations are burdensome and overcomplicated. "Hey listen guys, there's a way to fix that," she told the hosts of the "So That Happened" podcast. "If banking is boring, the regulatory part can be boring too." 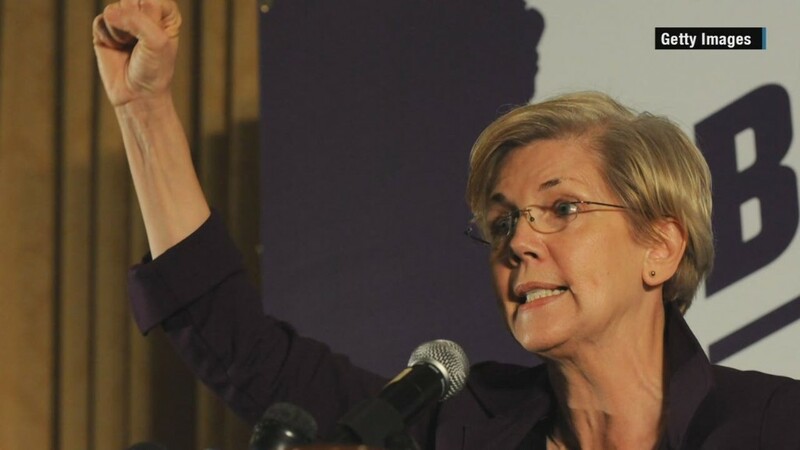 Related: Elizabeth Warren says "wealth trickles up"
Warren wants banks to take risks with their own money. And if they are backed by the Federal Deposit Insurance Corporation, she has called for them to be barred from engaging in financial speculation. "If you want to get out there and take on risks, ok go do it," she said. "But don't do it in the structure that's backed up by the federal government." Warren helped oversee the federal bailout of the banking system in 2008. She was also instrumental in creating the Consumer Financial Protection Bureau, a new government watchdog for the financial sector. Dimon on Wednesday questioned whether Warren, a member of the Senate Banking Committee, "fully understands the global banking system." The remarks sparked a backlash by critics who accused Dimon of talking down, or "mansplaining," to the former Harvard University professor. But Warren declined to comment on that. "We'll have to defer to the mansplaining experts on that," she said. Dimon has been one of the loudest voices against financial regulations created in the wake of the 2008 crisis. He has said the new rules will hamstring banks in a crisis and that JPMorgan is "under assault" by regulators.